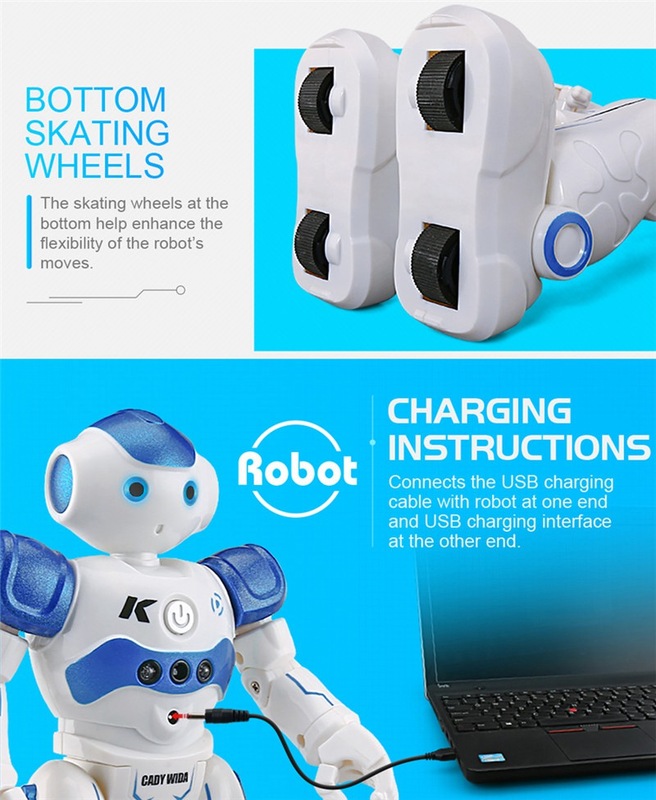 √ INTERACTIVE ROBOT: Amazing NEW educational rc robot, what helps kids to learn beginning sciences and build their habits. 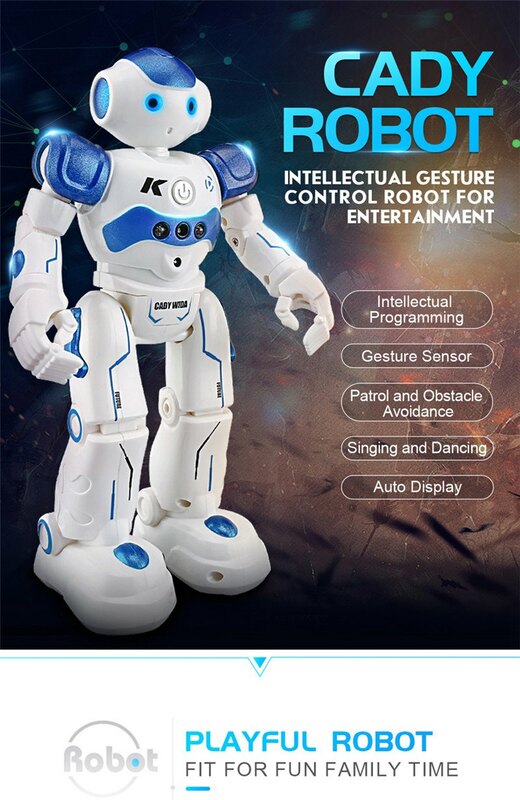 It brings more funny to you with singing,dancing,walking,sliding and interacting. 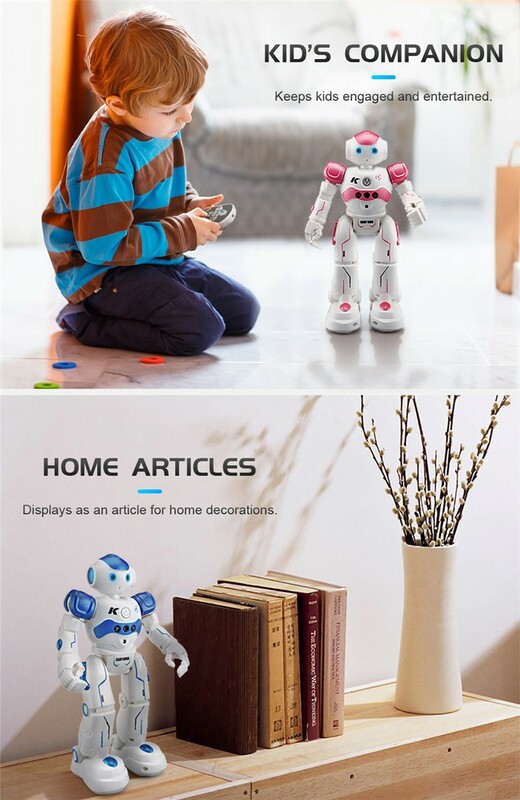 It is a nice playing toys robotic kits with kids. 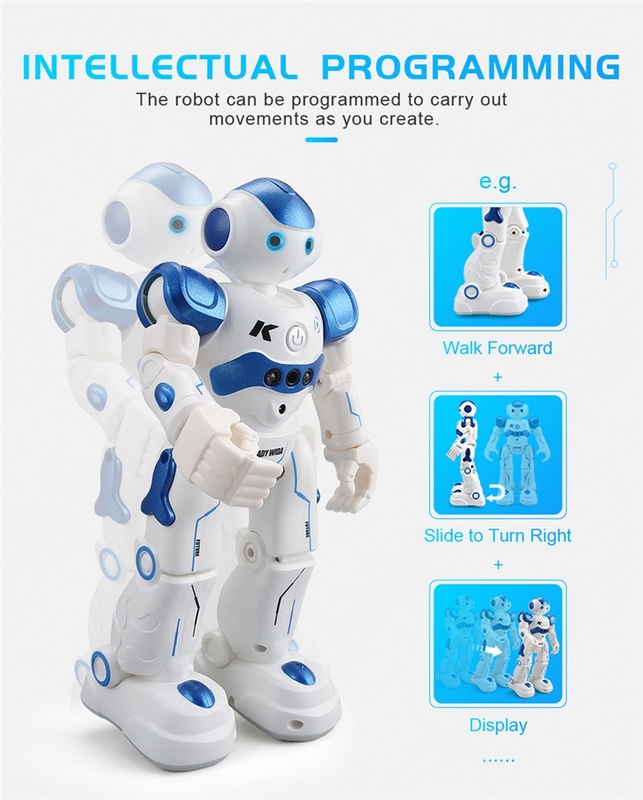 √ INTELLECTUAL PROGRAMMING: The robot can be programmed to carry out movements as you create. It can move in all directions,forward,backward,turn left,turn right,walk forward,slide forward. 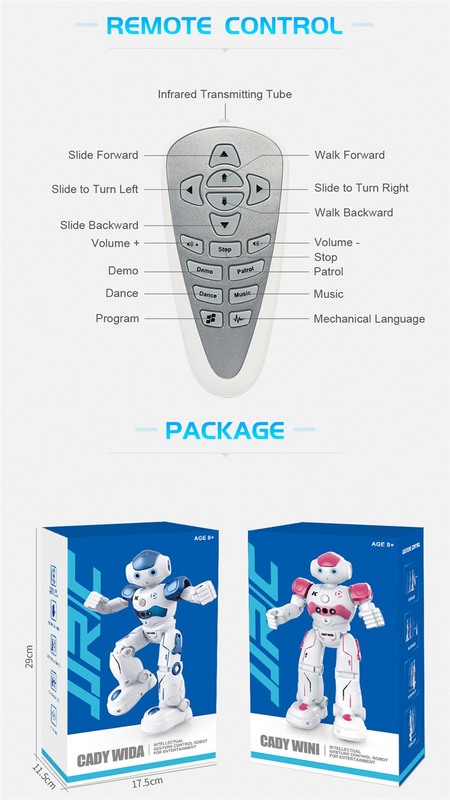 √ TWO MOVEMENT TYPES: Walking and Sliding Mode for going forward / backward,turning left / right at the command of the user. 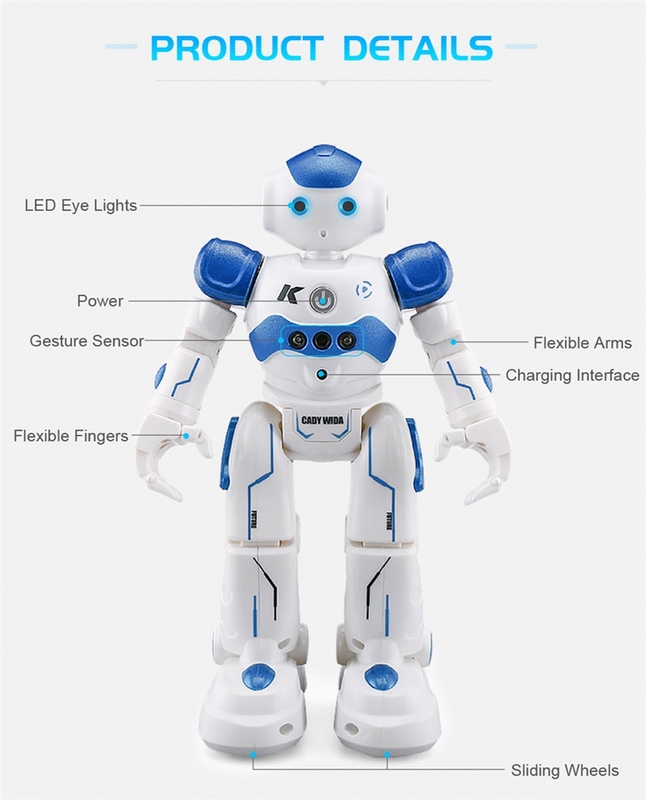 Robot’s flexible arms will make different action postures like what kids want. 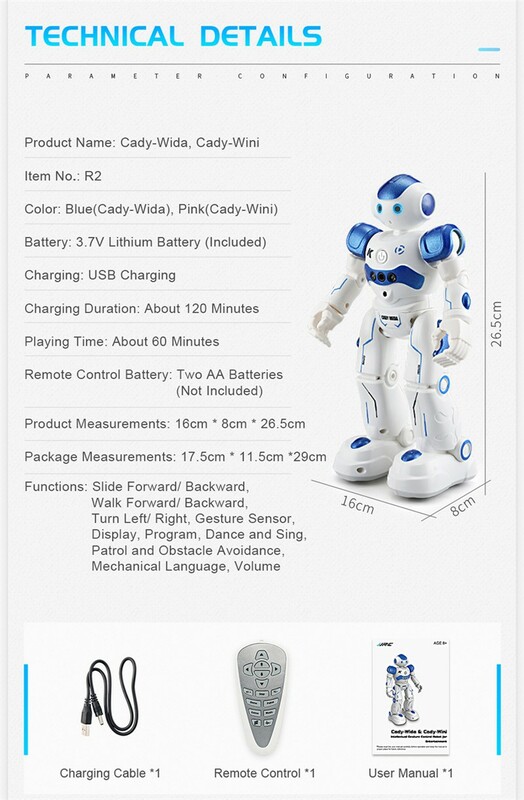 √ PATROL AND OBSTACLE AVOIDANCE: The Robot will move forward and go on patrol along with music. 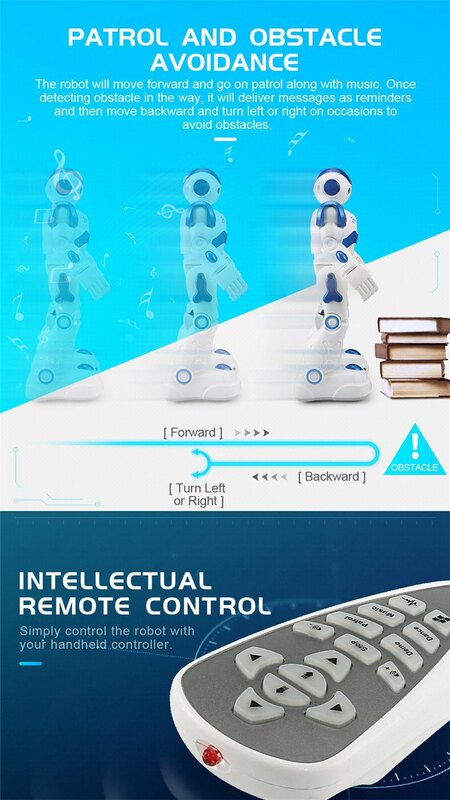 Once detecting obstacle in the way, it will deliver messages as reminders and then move backward and turn left or right on occasions to avoid obstacle. 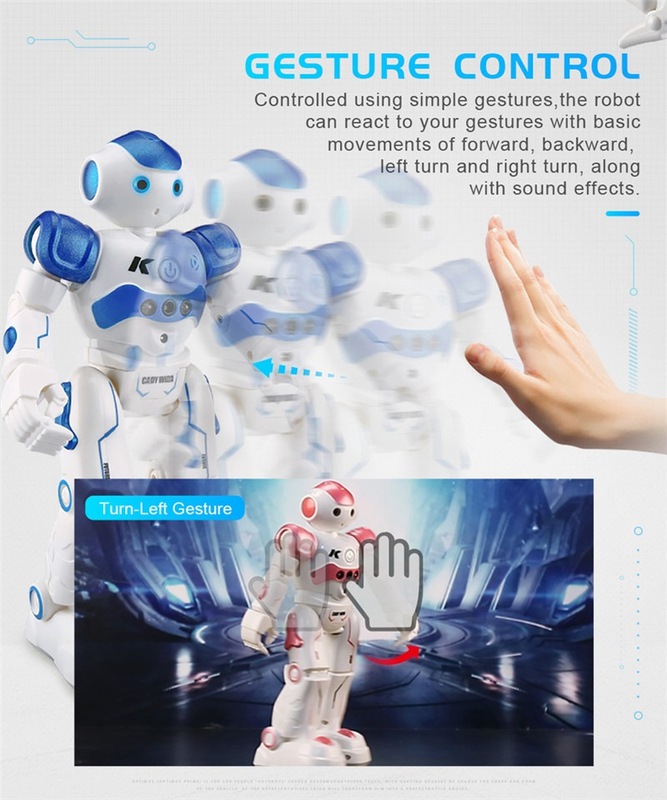 √ AMAZING LED EYES: The X-man robot can entry combat mode,where the bullets can be shot towards various directions in the air like a hero. 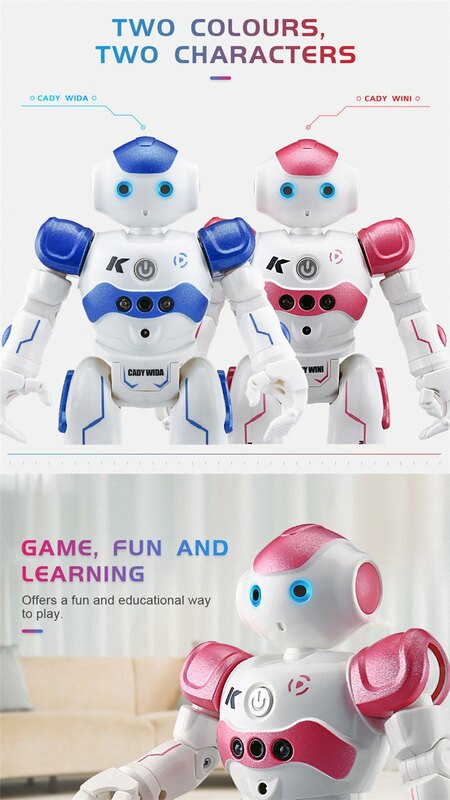 Colorful LED eyes combination of sound makes a more interactive play time. 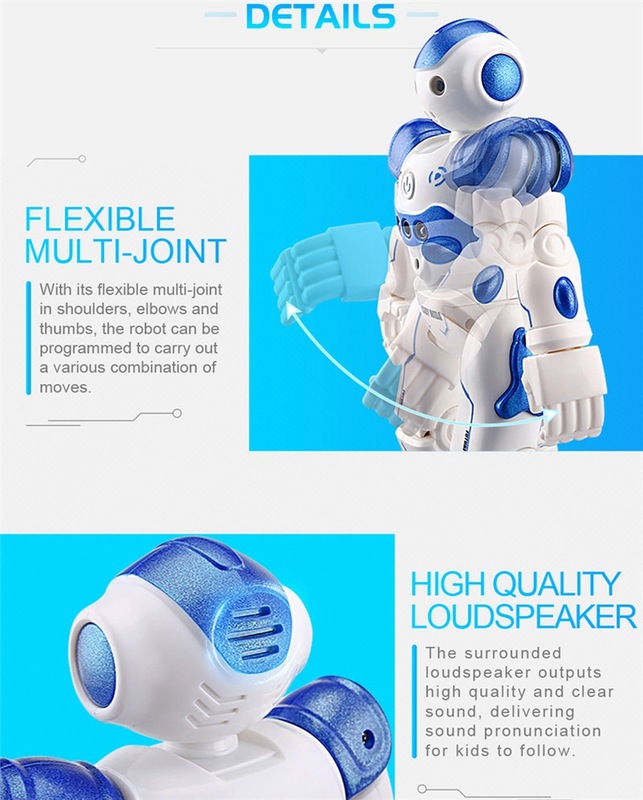 It is very suitable as a birthday present, Christmas gifts, Halloween gifts to family and friends. It can slide forward/backward, walk forward/backward, turn left/right. 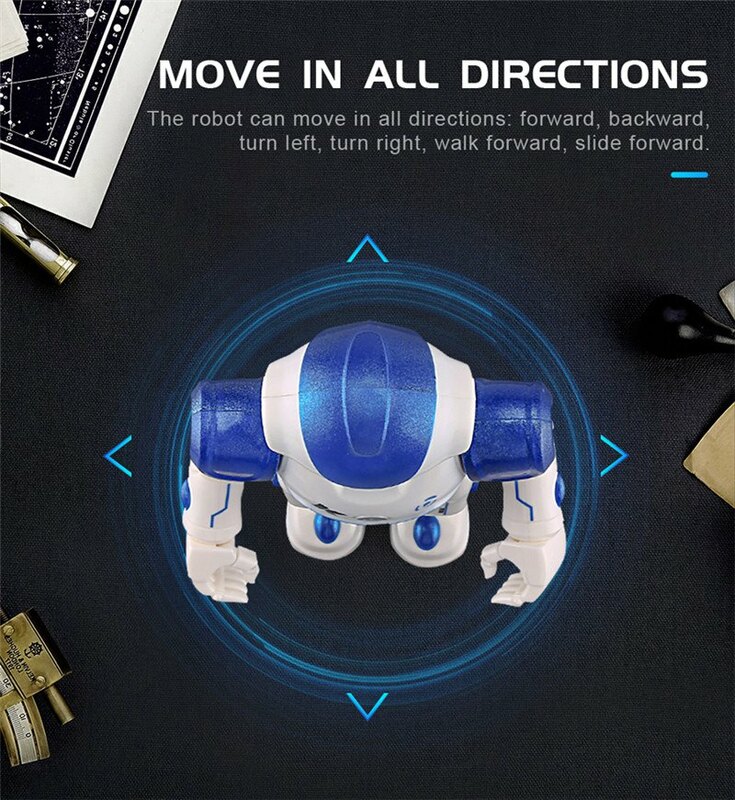 Patrol and obstacle avoidance: once detecting obstacle in the way, it will deliver message as reminders and then move backward and turn left or right on occasions to avoid obstacles.